How do I Add/Edit/Delete a property listing in WPL? In order to Add a property in WPL. You need to Goto WPL > Add Listing . 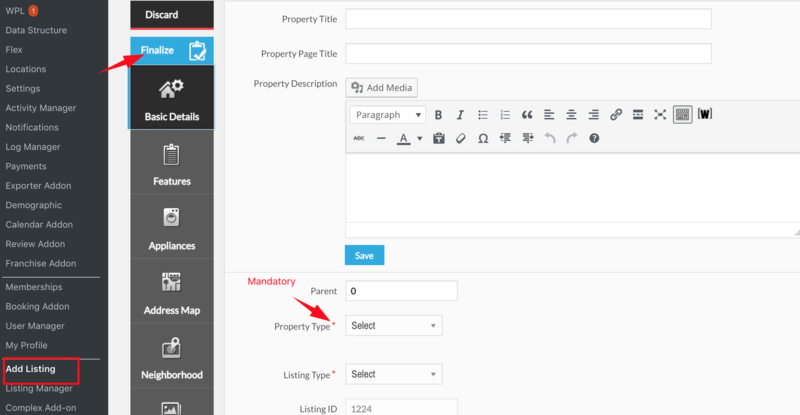 Fill up all mandatory fields and then click on " Finalize" button to save the property. In this section there is a search engine you can filter properties by the available options. To Delete properties there are " Trash" and " Purge" buttons. By trashing you can delete and then restore a property. With " Purge" you can delete a property and it's not restorable.